Former Republican presidential candidate Mike Huckabee announced that he resigned from the Country Music Association Foundation board right after he was announced as one of its newest members. He was elected. The board voted for him. The board, not anyone else. 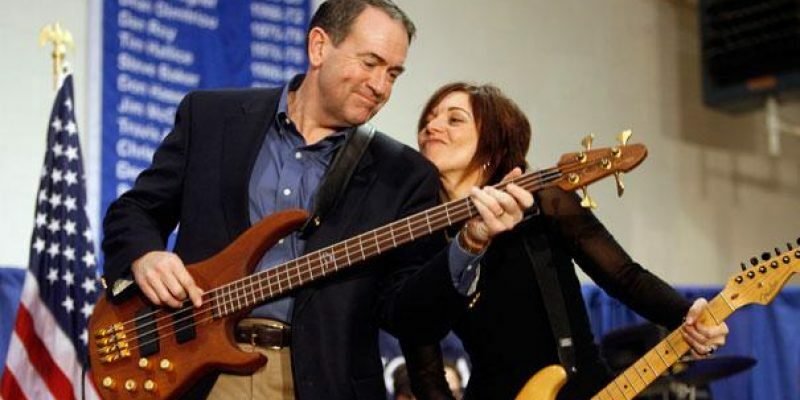 Huckabee is an amateur guitar player who loves music. He learned how to play the guitar as a child, which is why he has always been passionate about providing arts education in the public school system. Jason Owen, a director at Sandbox Management that represents Little Big Town, Faith Hill, and Kacey Musgraves, wrote a letter to the foundation calling Huckabee’s election “grossly offensive.” He wrote that his clients would no longer support the foundation. Huckabee speaks of the sort of things that would suggest my family is morally beneath his and uses language that has a profoundly negative impact upon young people all across this country. Not to mention how harmful and damaging his deep involvement with the NRA is. What a shameful choice. I will not participate in any organization that elevates people like this to positions that amplify their sick voices. This was a detrimentally poor choice by the CMA and (its) leaders. Unfortunately, Owen and many other critics don’t understand that Country Music has always been rooted in God and Christianity. Johnny Cash. Dolly Parton. Carrie Underwood. Vince Gill. Hank Williams. Randy Travis. George Jones. Not to mention several hundred more and an entire genre of country gospel music. Country music has strong Southern Gospel roots. It doesn’t promote homosexuality. Country music has historically advocated qualities of being an American: patriotism, honoring servicemen and women, veterans, public servants, loving others, and enjoying life. Critics often joke that Country music is only about a guy with a broken heart, his pick-up truck, and his dog. But looking at the history of the genre some of its biggest artists are Christians and would have enjoyed Huckabee being on a board that promotes charity. How often does a political leader who is a wholesome representation of the family as a father and husband, who has dedicated his life to public service, who loves to play the guitar, ever want to get involved in the country music scene? Not often, if ever. Huckabee, who has always promoted the flourishing of life, and the many Christian artists in Nashville and elsewhere, should stand their ground. Christians shouldn’t be discriminated against because they love God and want to make America a better place to live, work and raise a family.